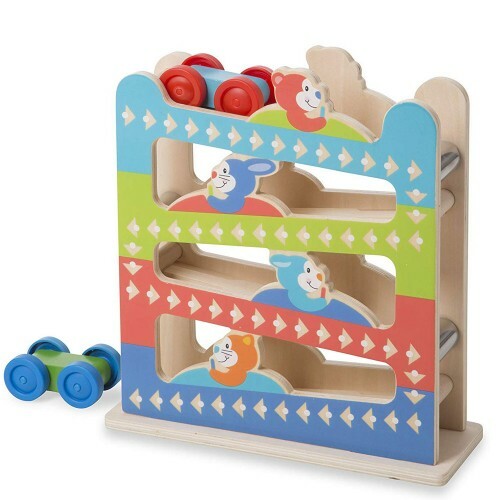 Keep playtime rolling with two vibrant, wooden cars that zoom, zip, ring, and flip down the wooden zig-zag track! Keep playtime rolling with two vibrant, wooden cars that zoom, zip, ring, and flip down the wooden zig-zag track! 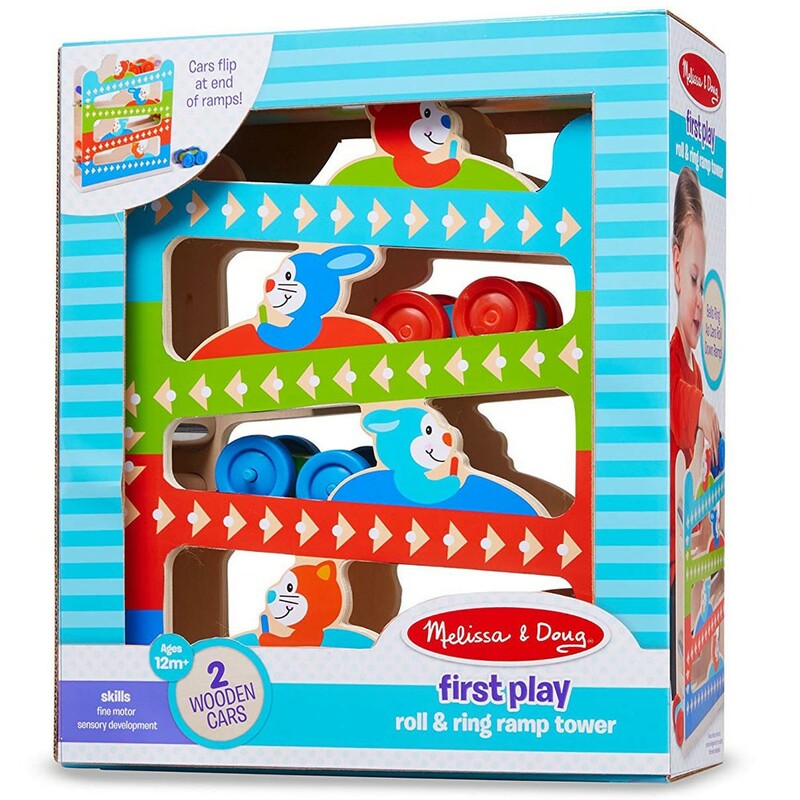 Toddlers will squeal in delight as they release a play car at the top of the tower and watch it make its way down the ramp, sounding a chime ring at each turn and flipping over to zoom down the next ramp! 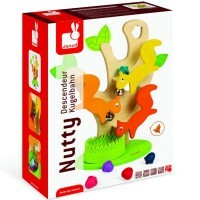 This engaging, hands-on activity encourages sensory development and fine and gross motor skills. 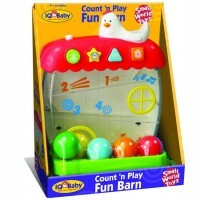 It also helps introduce kids to colors, sound, and motion. 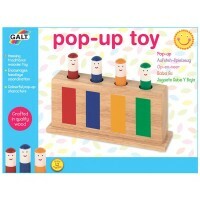 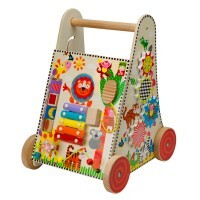 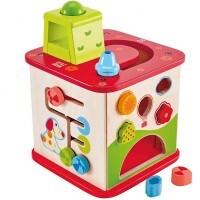 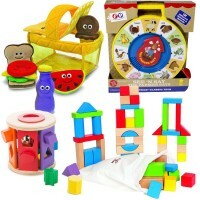 The new Melissa & Doug's activity set from Educational Toys Planet is a great gift for the 1st Birthday! 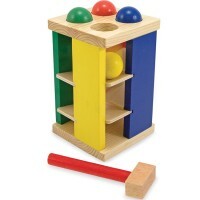 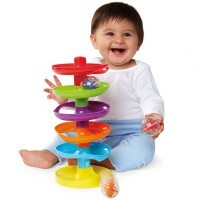 Dimensions of package 4.25" x 11.1" x 12.6"
Write your own review of Roll & Ring Ramp Tower Motor Skills Toy.